Campione dei Campioni. Sanremo 2017 has finished after five nights of music and entertainment. 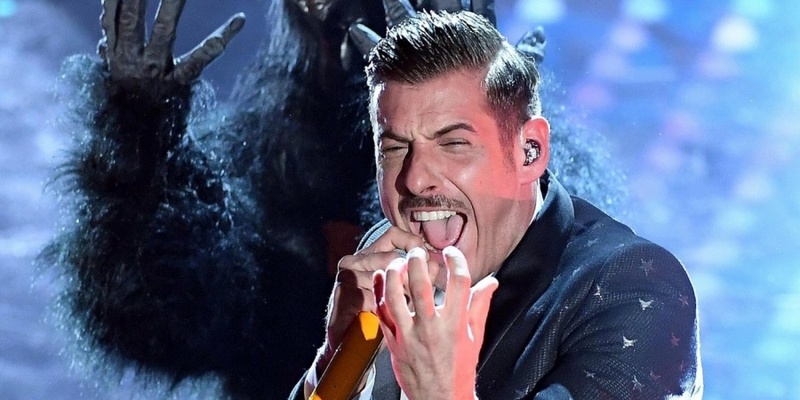 The winner of the 67th Festival of Sanremo's Campioni (Big Artists) is Francesco Gabbani with the song "Occidentali's Karma". He has the right to represent Italy at Eurovision Song Contest 2017 in Kyiv, and shortly after his victory he announced, that he wants to go to Kyiv in May 2017. The final had 16 contestants qualified from the earlier nights' competitions in Italy. The 3 best advanced to the Super Final and performed again: Francesco Gabbani, Fiorella Mannoia and Ermal Meta. The winner of Sanremo 2017 was decided by 40% televote, 30% expert jury and 30% demoscopic poll (poll by around 300 music fans). Michele Bravi – "Il diaro degli errori"
Sergio Sylvestre – "Con te"
Michele Zarrillo – "Mani nelle mani"
The winner of the Big Artist section of Sanremo 2017 were offered the option to represent Italy at Eurovision Song Contest 2017 in Kyiv. Sanremo 2017 ran over 5 consecutive nights, and was hosted by Carlo Conti at the Teatro Ariston in Sanremo, Liguria, Italy. The 22 Big Artists were split into two parts. The first part with 11 of the Big Artists performed on Night 1, and the voting began (50% press jury and 50% televote). No eliminations. Top-8 qualified directly to the semi-final on fourth night. The second part of the Big Artists with the last 11 entries were performed and voted upon. Top-8 qualified directly to the semi-final on fourth night (50% press jury and 50% televote). The 16 qualified finalists performed a cover of a known Italian song. The 6 non-qualified entries performed again, and the best 4 qualified to the semi-final, and the two last were eliminated (50% press jury and 50% televote). The 20 qualified semi-finalists performed their Sanremo songs. Top-16 qualified to Saturdays final of Sanremo, and the four last were eliminated. (40% televote, 30% expert jury, 30% demoscopic poll). The 16 finalists all performed in the Final of Sanremo 2017. The 3 best advanced to the Super Final, and performed again. The winner of Sanremo 2017 was decided by 40% televote, 30% expert jury and 30% demoscopic poll (poll by around 300 music fans). Italy 1958: Domenico Modugno - "Nel Blu Dipinto Di Blu"